It’s that time of year again, when we look forward to the new season and start thinking about Spring Summer beauty trends (in attempt to feel better about the cold frosty weather we are faced with in the UK.) Just a few days before London Fashion Week kicks off and we start looking at Winter trends again, here are the trends for this season you need to be wearing now. For this Spring Summer the looks are brighter and bolder but of course the hot trend for Summer is always clean skin, perfect for the beach. There was also glitter everywhere and a huge 80s comeback so let’s take a closer look at the trends. Even if this wasn’t a trend I’m sure there will be a lot of George Michael fans embracing the 80s this year (much like myself) I have been listening to WHAM and digging out the slogan tees. Who doesn’t love an 80s rave? It’s time to get colourful, find those pigments and get bold. Towards the end of last year when Urban Decay launched their Full Spectrum palette and Lottie London’s new colour range, I knew colour was going to be the thing in 2017. 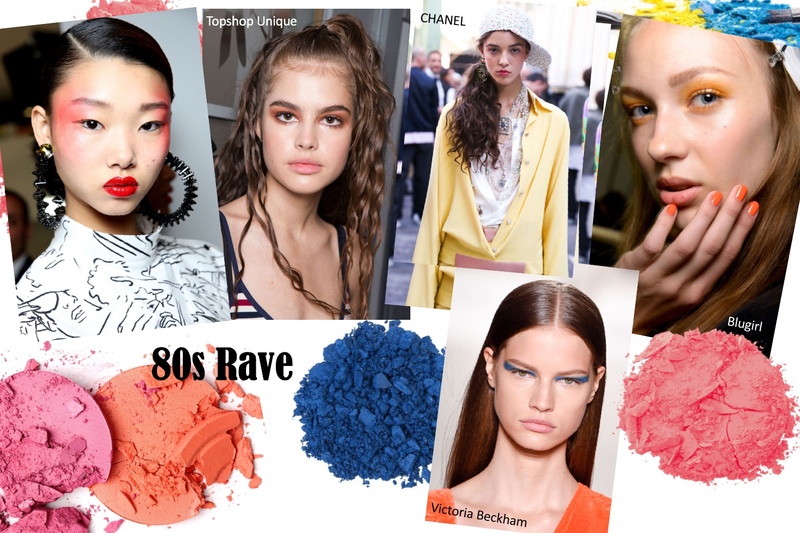 Use pops of colour on your eyelids, lipstick as blush for the 80s flush and embrace those metallic eyes. Marc Jacobs, Nina Ricci, Topshop Unique, Chanel, you name it the designers love the 80s. 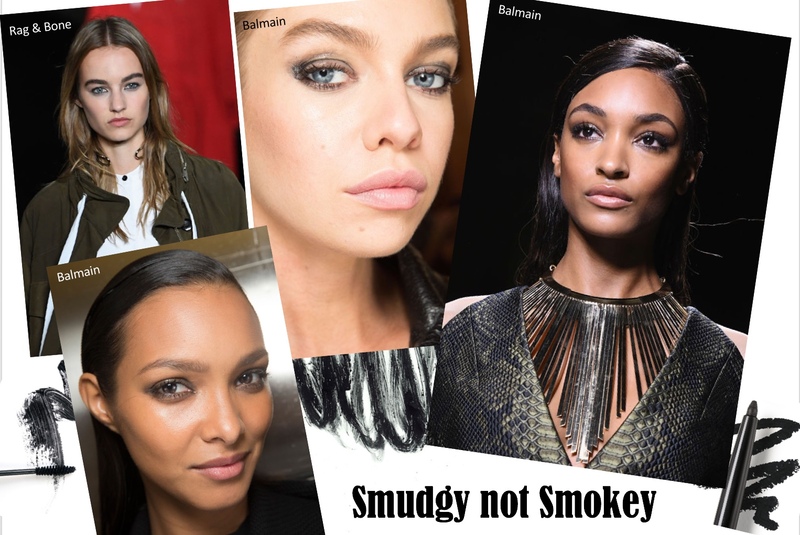 There is always some form of a smokey eye look on the catwalks, it is such a classic look after all. But this season is about the smudgy eye not the smokey eye. Finally you don’t have to worry if you smudge your eyeliner as you can just smudge it out and be right on trend! Wear your eyeshadow messy but your base clean and fresh. This look is all about that very late night or early morning feel and Balmain loved it. It is still keeping to the 80s rock n roll theme so if colour is not for you maybe this trend is more your thing. I’m so happy that glitter is here to stay! 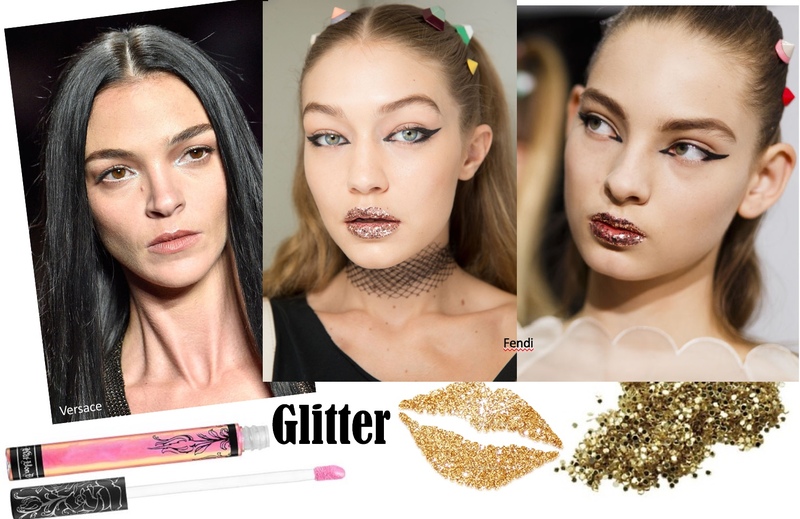 This season it’s glitter accents swept across the eyelids or gathered in the inner corner as seen on the DKNY catwalk. Fendi has gone crazy for glitter lips, if you want a more subtle version of this look then Bedazzled from the Urban Decay vice lipstick collection is perfect. I’m making a prediction here, I think holographic lips are going to be a thing. Holographic nails are already trending on Instagram as well as holographic like highlight and I think a metallic lip is going to be a huge Instagram trend this year. Who’s with me? 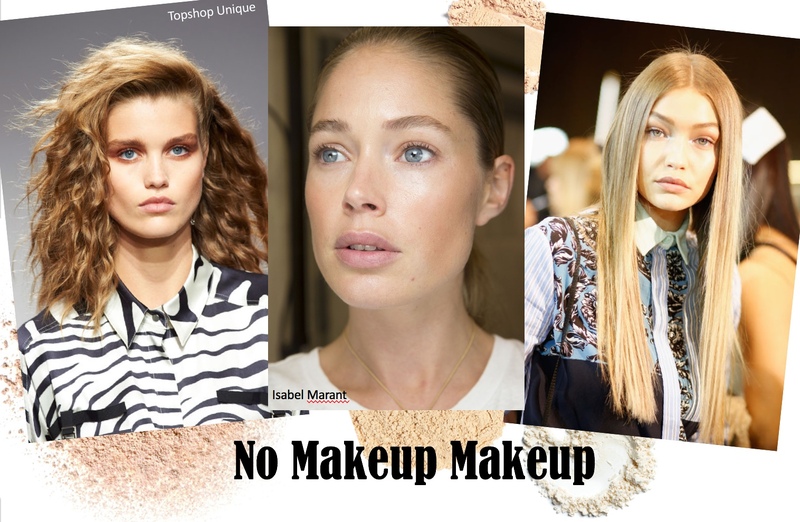 The no makeup, makeup look is always huge for summer. Everyone wants that natural glow and sun-kissed skin with very little makeup. Even in the front row Kim Kardashian and Alicia Keys were spotted in the front row sporting the no makeup, makeup look. Isabel Marant, Michael Kors and Vera Wang were particularly inspired by this look.